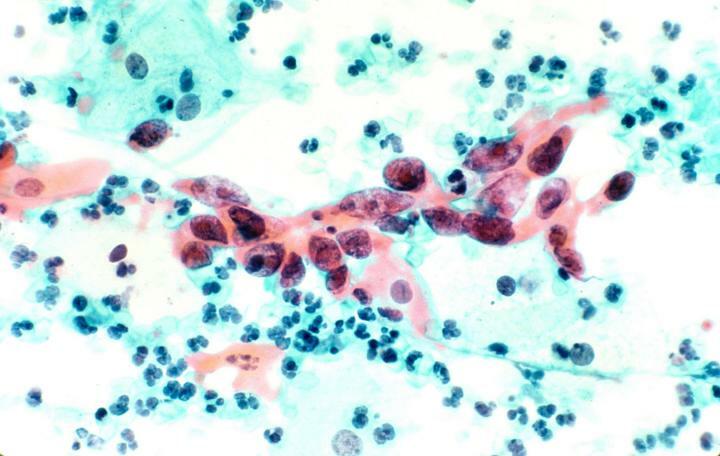 Cervical cancer negative for the human papilloma virus (HPV) is rare but more aggressive: it is more frequently diagnosed at advanced stages, with more metastasis and reduced survival. These are the conclusions of a study co-led by ISGlobal, an institution supported by “la Caixa”, the Hospital Clinic and the University of Barcelona. Cervical cancer is the fourth most common cancer among women worldwide and a leading cause of morbidity and mortality. Infection by HPV (particularly certain genotypes) is the main causal agent of this tumour. However, a small percentage of cases are negative for HPV. It is not clear, however, whether these tumours represent a distinct cancer subtype, with different clinical and prognostic characteristics. In this study, the team led by ISGlobal researcher and pathologist Jaume Ordi, analysed tumours from 214 women diagnosed with cervical cancer and admitted to the Hospital Clinic in Barcelona between 2012 and 2015, and followed-up for five years. Using a highly sensitive molecular amplification test, they found that 10% of tumours analysed were negative for VPH DNA. Women with this type of tumour were diagnosed at more advanced stages of the disease, had a higher rate of lymph node metastasis and their average survival was half that of women with HPV-positive tumours. “These results confirm previous studies by our group, with smaller samples,” explains Ordi. “The new study confirms that HPV-negative tumours represent a more aggressive type of cancer with worse prognosis, which must be considered for the clinical management of these patients,” he adds.